Made with water-repellent Taurpalite and Repelaweave fabrics, Granite Gear's Eagle is designed to be one of the most durable, weather resistant and stylish backpacks available. And with it's distinctive tall and slim, multi-compartment design it's also one of the most functional. Made with water-repellent Taurpalite and Repelaweave fabrics, Granite Gear &apos;s Eagle is designed to be one of the most durable, weather resistant and stylish backpacks available. And with it&apos;s distinctive tall and slim, multi-compartment design it&apos;s also one of the most functional. The Eagle finds much of this functional strength in subtle features like it&apos;s tree co lined stash pocket, a Gear-Tec laptop sleeve, and it&apos;s external swivel clip for attaching things on the go. Granite Gear&apos;s expertise in creating well rounded packs with excellent comfort is evident in the design of the eagles suspension system. The shoulder harness is made from high density EVA foam and the back panel is fully padded to provide unrivaled comfort. 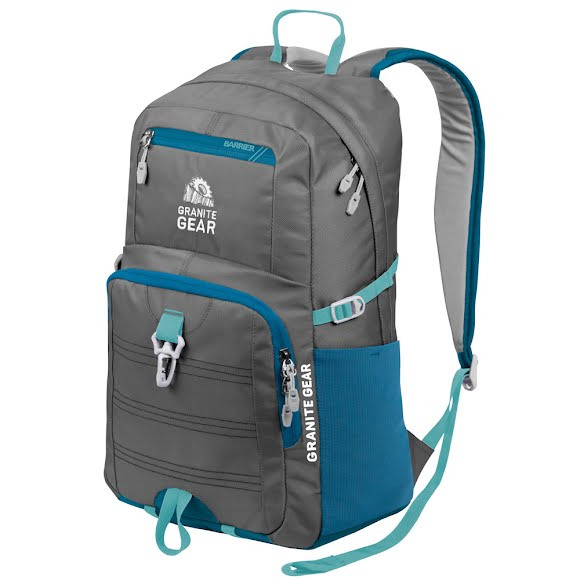 As a pack that provides the utmost in protection, durability and functionality, the eagle embodies the vision of the Barrier backpack series, and proves that Granite Gear&apos;s approach to crafting quality packs is as effective in the classroom as it is on the trail.